I must wonder what abortion providers would have to say to her story? So much for non-viable tissue! 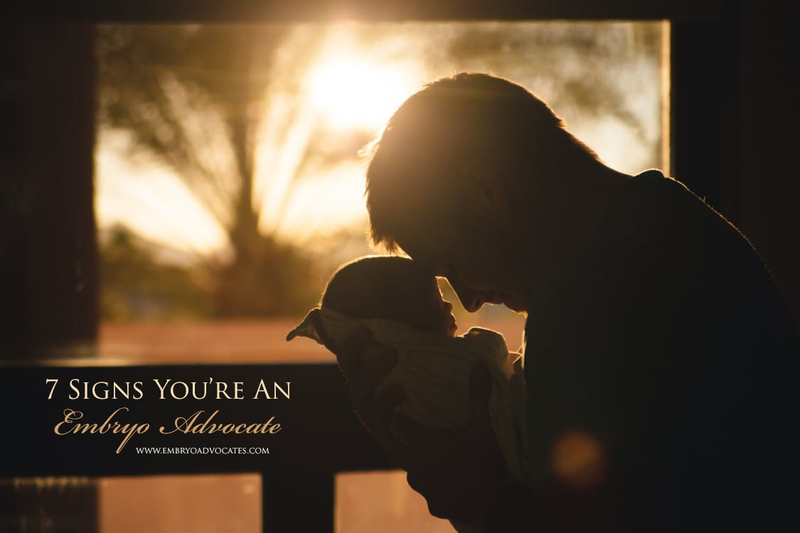 As embryo advocates, we seek to defend the youngest and smallest in our midst, while also caring for their parents. I love the above story about that little girl’s survival; however, we do not only stand for those who make the “check mark” on the viability scale. 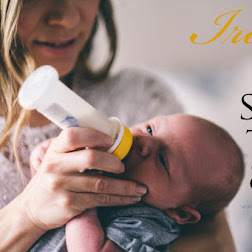 We’re here to be a voice for all who have none; if a child is one second old or 34 weeks along, it’s our desire to defend them with grace and boldness. 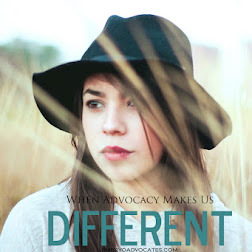 Are you an embryo advocate? If so, I bet you’ll resonate with some of these points! You are truly pro-life: you love every life. Not because you have love in your own strength, but because Jesus has given you His deep, unending love for the least of these. You understand the value of the 97 year old lady who is bedridden and has fibromyalgia; you see a person with Down’s Syndrome as extremely important, knowing that they are made in His image. Your heart aches over the thousands of little human lives in test tubes in bio-freezers all over the US. Those “left over” from in vitro are on your mind, and you want to do something about it. No embryo is worthy of abandonment in the trash can or the cruelty and inhumane treatment of StemExpress. Even if everyone else calls you crazy or fanatical, you will stand with grace, and an unwavering confidence in Jesus alone that He is able to deliver and protect every life. You intercede on their behalf. You read books about missionaries who rescued children, autobiographies of those who have survived abortions, and maybe even wipe the dust off your Anatomy & Physiology textbook so you can better answer those who ask for proof that at even day 1, a baby is human. Created in the image of God. Some hate you. Others unfriend you on Facebook. And a person or two has even accused you of twisting God’s Word to say that every embryo matters, even though it’s clearly seen through His Word that He loves life. They don’t respond this way because you were rude or unreasonable, but because you stood the ground that we must do something to save these little ones. Don’t say it… You’ve dared to speak up about how hormonal and mechanical contraceptive can end a baby’s life at such an early stage that one may never even know they lost a beautiful life. People send you “those Facebook messages.” “Well now, you’re not in my situation. Even if a choice I am making could be causing death, at least I’m feeling better!” But, thankfully, Jesus also provides the grace to respond with care and Truth. 1. Pawlowski, A. “Born at 21 Weeks, This May Be the Most Premature Surviving Baby.” TODAY.com, 9 Nov. 2017, 12:48 AM, www.today.com/health/born-21-weeks-she-may-be-most-premature-surviving-baby-t118610.